The Babboe City is a manoeuvrable and slender cargo bike with 2 wheels, that takes to the city like a duck to water. However, this box bike easily covers longer distances outside urban areas as well. There is room for 2 children and an extra bench can be installed, seating 4. In addition, the possibility to install a Maxi-Cosi carrier was taken into account when designing the box. The Babboe City is also available with electric pedal assistance. The Babboe City-E is not only equipped with 7 gears, it also has a motor in the rear wheel. The lithium-ion battery is located underneath the rear carrier and can easily be charged at home or on the road. Easily cover 24-37 miles with this battery! You will always have the wind at your back. If you are looking for a 2 wheel cargo bike with an extra strong motor, then the Babboe City Mountain is the right one for you. The powerful Yamaha mid-drive motor with force sensor and Nuvinci stepless shifting system on the Babboe City Mountain allows for a super smooth riding experience. The optimal solution if you live in a hilly area or regularly cover longer distances.  Babboe box bikes are mainly sold online. That is how we are able to keep our cargo bikes at an affordable price without compromising the quality. We offer our customers a 5-year warranty on cargo bikes. Would you like to experience yourself what it is like to ride a Babboe City cargo bike before purchasing one? Stop by at one of our dealers and take a cargo bike test ride!